Howick Claim Inaugural Hellaby Hunt Cup but Premier Men and Women are still in the hunt for championships! 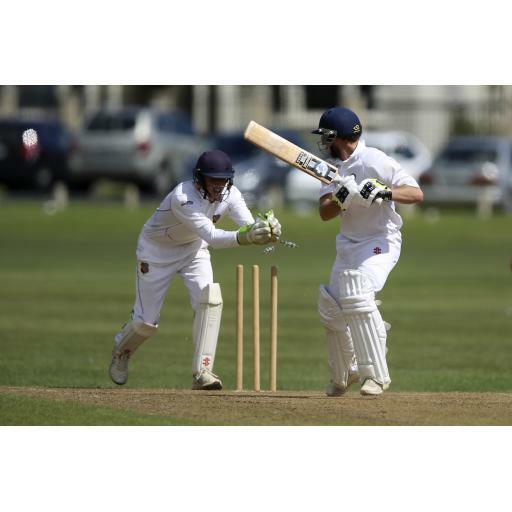 Howick Pakuranga completed a solid first innings victory over Papatoetoe, the game going deep into the fourth innings on Sunday. Papatoetoe were playing host to Howick Pakuranga in the pivotal top of the table clash, the teams also playing for the Hellaby Hunt Cup. Donovan Grobbelaar (4-48) got the visitors off to the perfect start picking up a wicket in the first over of the day. Papatoetoe’s batsmen all managed to get starts Logan Clark (31) and Arminder Sohal (28) digging in under pressure from the Howick Pakuranga bowlers. Grobbelaar was particularly destructive ripping through Pap’s middle order to leave them in trouble at 109/6. 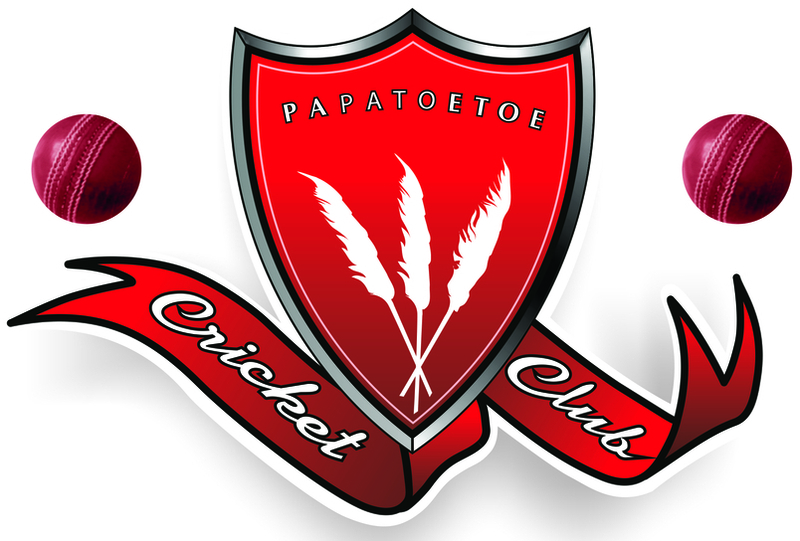 Rutvik Botadra (2-38) Adam Jones (2-37) and James O’Callaghan (2-33) all pitched in to help roll Papatoetoe for a modest 160. 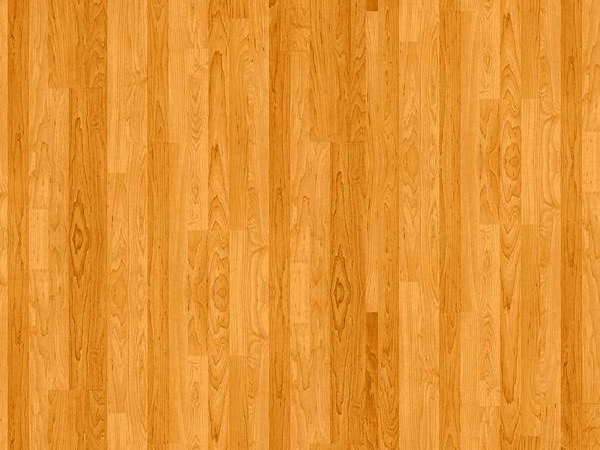 Oliver Reynolds-Pringle (1-41) struck early on to give Pap a much-needed boost. Bhupinder Singh (3-51) was excellent for Pap, bamboozling Howick Pakuranga’s top order reducing the visitors to 65/4. Nav Aujla (1-30) then picked up the big wicket of Grobbelaar to leave Howick Pakuranga in dire straits at 75/5. 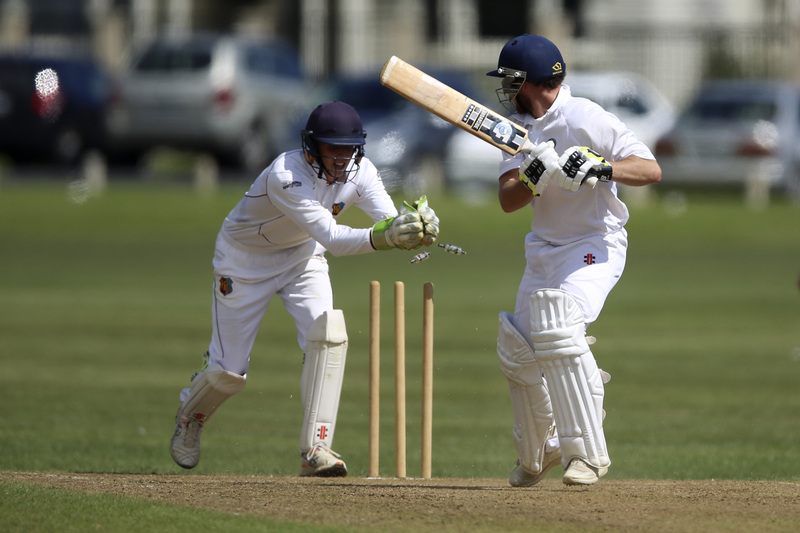 Dale Phillips (82) stood up for his side scoring the lion’s share of the runs to ensure they secured first innings points. With a slight first innings deficit, Pap’s batsmen went about setting up a fourth innings chase. A half century from Logan Clark (64) and valuable, quick runs down the order from Stuart Money (47*) set up a chase of 157 for the Howick Pak. The spinners once again came to the fore for the home side, Singh (3-58) and Aujla (4-42) proving their worth and getting their side to the brink of an outright. However, the visitor’s tail held firm finishing 136/9 to take the first innings points and top spot on the points table. The Premier Women were hosted by Cornwall on a beautiful day on Cornwall's number three pitch. Pap won the toss and elected to field first with Lily Mulivai (2-40) and Lagi Telea (1-45) leading the pace attack. However, Pap weren't able to break through the 70-run opening stand until the 19th over with some great bowling from Malia Tato (3-42) and sharp glove work by skipper, Lelia Bourne to remove Sarah Carnachan (33) stumped. Sachi Shahri (40) followed soon after in a similar fashion with Bourne collecting her second stumping of the day off the bowling of Via Meritiana Andrew (3-33). Bourne then went on to add two more scalps to her wicket-keeping tally for the day taking two catches. Cornwall's Maia Bouchier top-scored with 49 for her team while Georgia Guy contributed a valuable 33 before she was the last wicket to fall in the 49th over with the hosts on 216. With 217 runs the target and Papatoetoe needing a win to help their chances to a finals berth, it was a rocky start to the chase with opener Tess Hickson (4) dismissed caught at gully in the very first over. Regina Lilii (10) and Andrew (16) started to build a partnership until a crucial calling mishap from Lilii found herself runout on an overthrow in the seventh over and the team on 23. 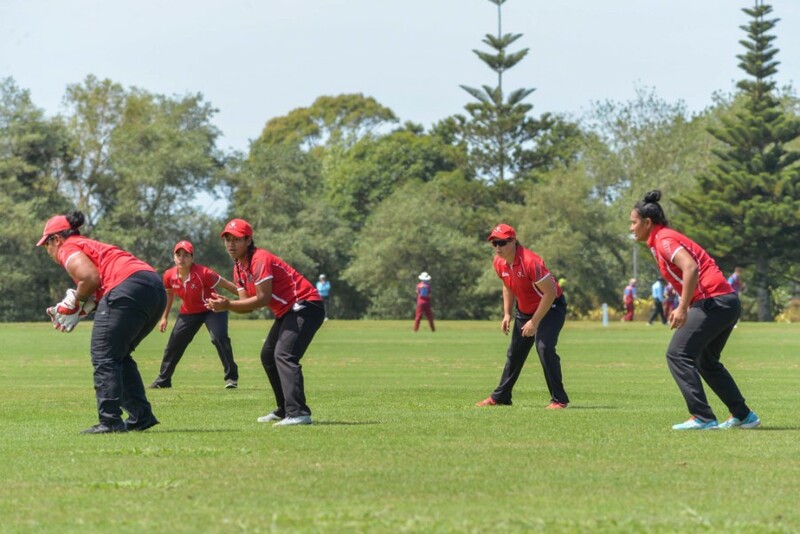 From that point on wickets continued to fall at regular intervals with Lily Mulivai the only batsman showing slight glimmers of hope for her team with some fantastic power hitting as she top-scored with 36 including two sixes and three fours. However, unfortunately, with very little support she wasn't able to sustain it and was eventually the last wicket to fall after being caught at long-off with the team on 109 runs all out in the 27th over. The Premier Women now look towards their last round robin game this Saturday at Lloyd Elsmore Park where a win against Howick Pakuranga could see the ladies through to the finals but also having to rely on a Waitakere/Auckland University win over the Takapuna Ponies in their top-of-the-table clash. 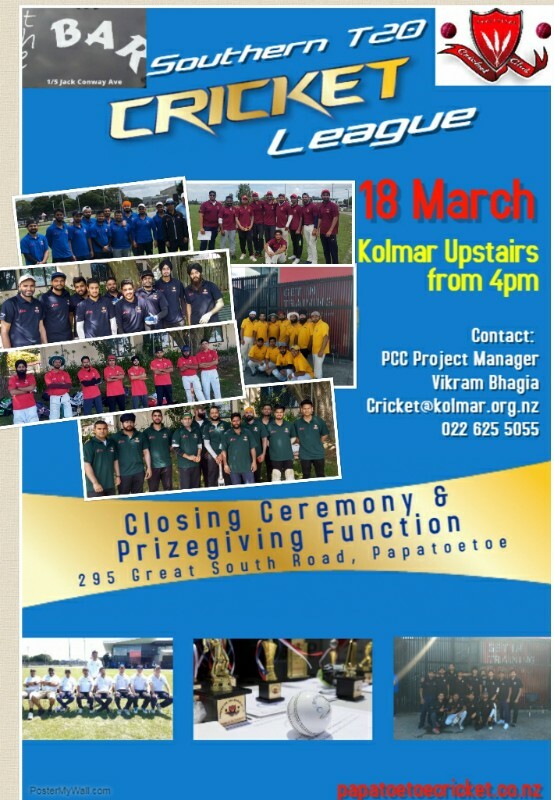 Please join us this Sunday 18th March for the Southern T20 League closing ceremony and prizegiving function! All are welcome to come along and celebrate in all the fun and success of the competition. The bar will be open from 4pm - we look forward to seeing you there! 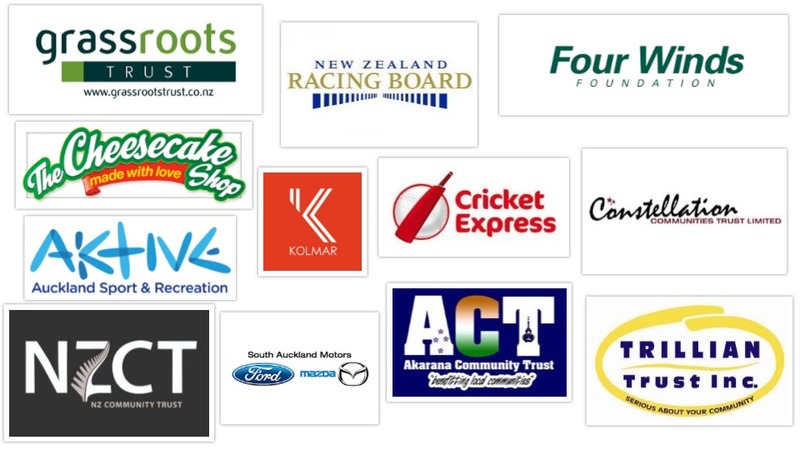 Get down to Eden Park and support our Black Caps in New Zealand's first day-night test from Thursday 22nd March to Monday 26th March 2018 with each day's play starting at 2pm!